So, after a bit more 2500 kilometers by bicycle, 350 kilometers by train and countless rivers crossing via ferries, our cycling days in Vietnam are over. The least I can say is that I have very mixed feelings about this country. Let’s start with the negative aspects ! During my previous short trips there, my main criticism was the constant attempts to rip me off. By this I don’t mean a slight overcharging; I mean the daily attempts to charge me two or three times the normal price, or to cheat on me when giving back change. Now that I’ve spent more time there, and probably thanks to traveling with Thanh, my opinion has evolved. There was nearly no attempt to cheat on us; however note that when it happened to me, I mostly traveled in the North, while during this trip we cycled the center and South of the country. Unfortunately this grievance was replaced by several other, so Vietnam is still (and by far) my least favorite country in East-Asia, well after China and Thailand. That’s my #1 concern with Vietnam as a cyclist : both on large road but also inside cities, people drive and ride totally carelessly. They’ll honk like mad (see below), ride the wrong way, turn erratically… As long as there’s some traffic, you always have to watch out for crazy behavior. Cycling on QL (highways) should be avoided whenever possible, as the most worst drivers (truck and minivan drivers) will be numerous and feroce. And don’t get me started on walking conditions on the cities… it’s usually very hard to walk anywhere, as people park their motorbikes on the sidewalk – usually right in front of you while you’re walking -. Also, even crossing the street is extremely stressing and dangerous, due to the very dense motorbikes traffic. I already mentioned the constant honking, but it doesn’t stop there. Extremely loud music or outdoors karaoke are very common; you may be cycling in the middle of nowhere, and instead of enjoying the silence, you hear some dumbass yelling Vietnamese pop from one kilometer away. With the notable exception of the Mekong delta, it looks like Vietnamese people have zero concern for environmental topics. My list of complaints is so large that I don’t know where to start 🙁 Trash is a huge problem; beaches, seas, fields are used as gigantic dumps. Forests in the central highlands have been totally nearly totally cleared to make way for coffee, cassava or rubber trees. Air pollution is also a large concern, as people always move around by motorbike, even for the tiniest distances; and those who can afford a car buy a polluting 4WD. As a vegetarian, it’s hard to enjoy Vietnam. Indeed, the word “vegetable” doesn’t actually seem to be part of the Vietnamese vocabulary ! Indeed, in Vietnam, it looks like a synonym for “I emptied my lawnmower in your plate”. Even vegetarian restaurants serve nearly no vegetable, filling up your dishes with mock meat instead. Compared to my experience in China where vegetables were available basically everywhere, Vietnamese diet strikes me as totally unbalanced. In nearly every hotel and many motels, the person behind the reception desk was much more interested in his/her Facebook wall than by getting us a room. Most shopkeepers seem to hate selling anything, and many owners of food stalls are depressed. Once again, our stay in the Mekong delta was an exception; people acted in a much more friendly and smiling way than everywhere else. Fortunately, not everything is wrong with Vietnam 🙂 Several aspects of this country make it a great choice compare to some of its neighbors… as long as you can bear the negative aspects mentioned above ! That’s probably my favorite thing about Vietnam. Excepted in the most remote areas, there’s always a café ready to serve you some refreshing drink. And it’s extremely cheap, excepted in very trendy places or touristic areas. While this may be seen as anecdotal, the high heat makes it necessary to drink a lot when cycling through the country. And given a choice between drinking warm water from my bike bottle and sipping a cold drink in a café, I tend to choose the latter ! I mentioned this already regarding cold drinks, but food and accommodations also offer very good value for money. Apart from some over-spending when we booked through Airbnb, Vietnam is overall a very cheap country. We spent around €25 for two daily, which is extremely low ! On a very positive note, there were several places I really enjoyed, and where I actually want to return; that’s a proof that not everything is lost (yet 🙂 ). While Hoi An‘s old town is a very crowded place by day, waking up early to visit it is a must. Early in the morning, the streets are desert and the shops are closed, allowing for striking pictures. 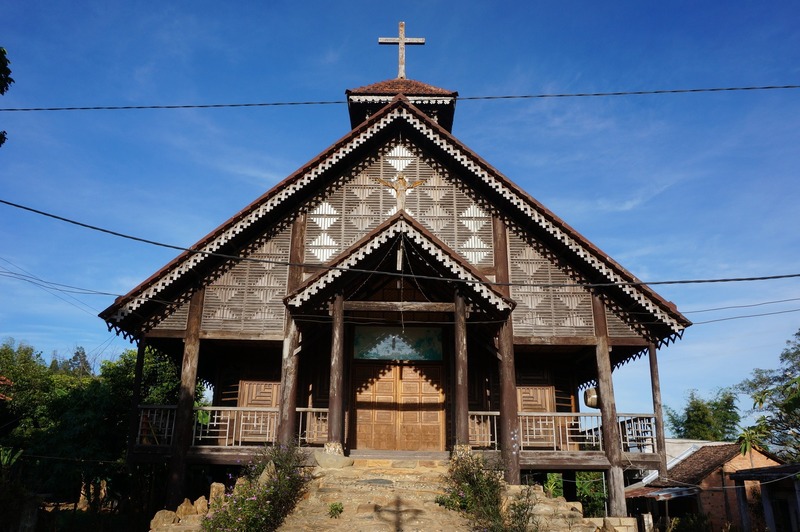 Kon Tum was a very quiet place, with several beautiful sights and plenty of cafés to relax. Visiting the minority villages around was very interesting and we really enjoyed learning about their peculiar customs. One drawback of this area is the depressing scenery, especially for a tree-hugger like me (see below for my notes on environment). 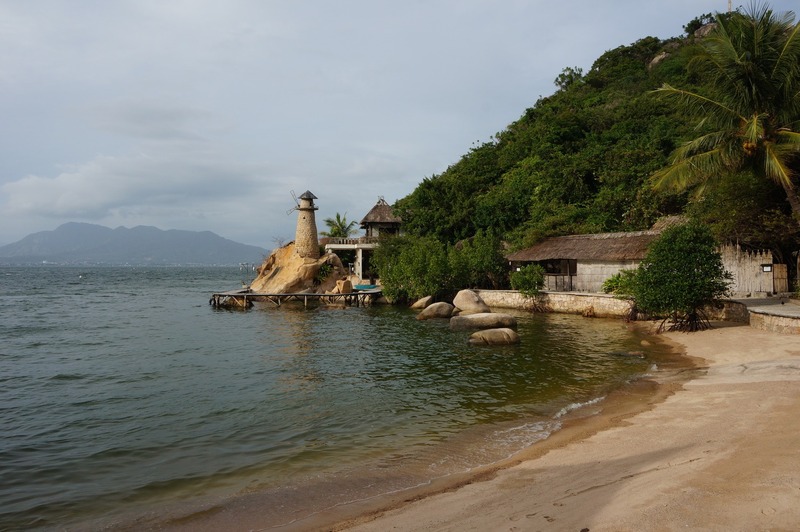 Beaches at Cam Lap promontory and on the road to Vinh Hy were extremely beautiful. 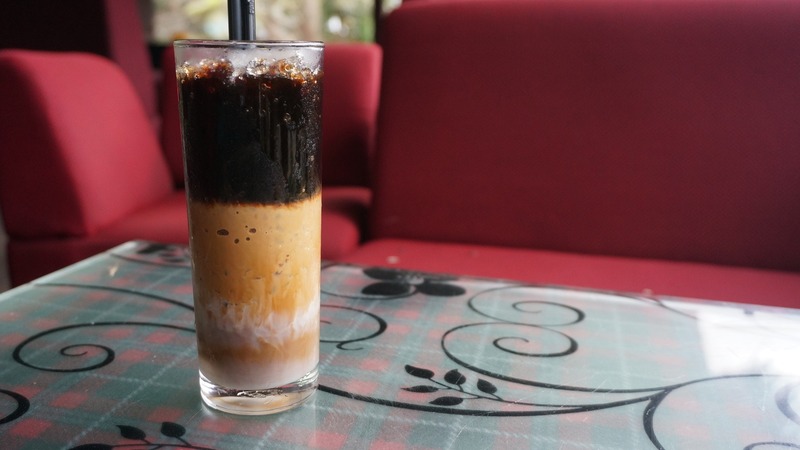 I didn’t really expect them to be so striking; it’s worth spending a few days in the isolated promontory, enjoying the beaches then riding / cycling to Vinh Hy. 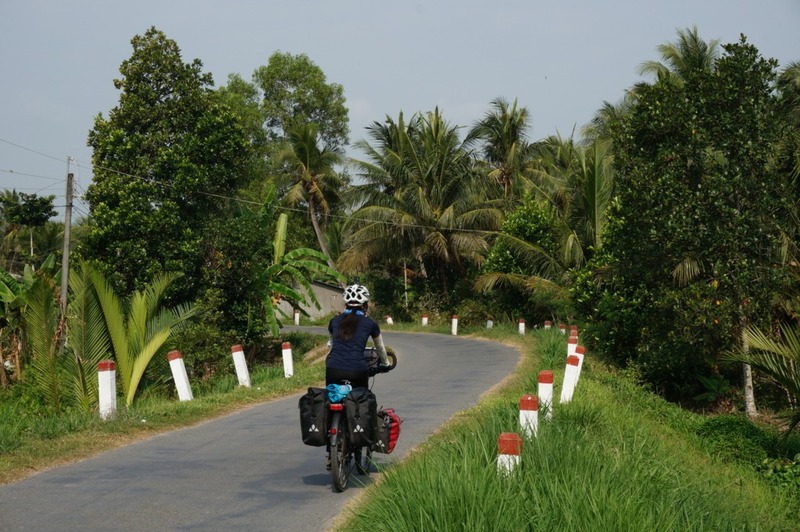 Cycling the Mekong delta was one of the highlights of our stay in Vietnam. While there was no breathtaking sight, it was wonderfully pleasant to ride the tiny roads surrounded by flowers, plantings and rice fields. If I had to choose a Vietnamese place to explore further, it would be there ! 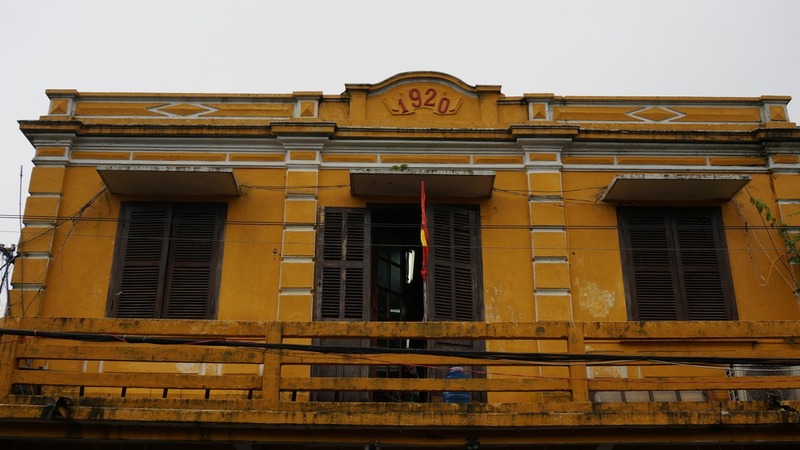 I really didn’t expect Ho Chi Minh city to be part of the places I loved ! But I must admit that I found this huge city strangely welcoming and peaceful, especially compared to the cities where we stayed when returning from Da Lat. 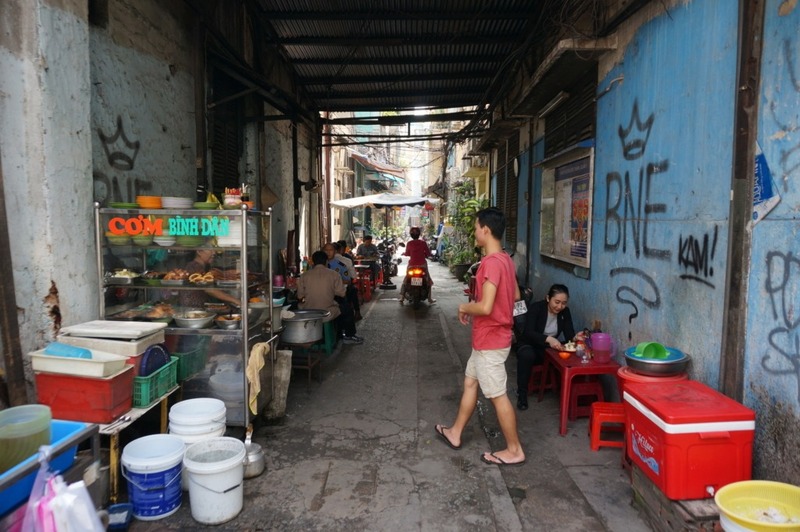 While the large avenues were crowded and noisy, exploring the many passages and alleyways was extremely fun. Our Airbnb apartment was also very pleasant, and contributed to make our stay there a pleasure.